INTRO Art Gallery & Chef’s Table – An Avant-Garde Experience at L.A.’s Hottest New Secret Supper Club! Los Angeles, CA: A nondescript strip of Lankershim Boulevard, the kind with ample after-hours meters, Rock Star parking, that Angelenos only dream about. The dance studio before you is inconspicuous, and if it weren’t for the brick facade, it would be completely unworthy of a second glance and has you checking your phone for accuracy. 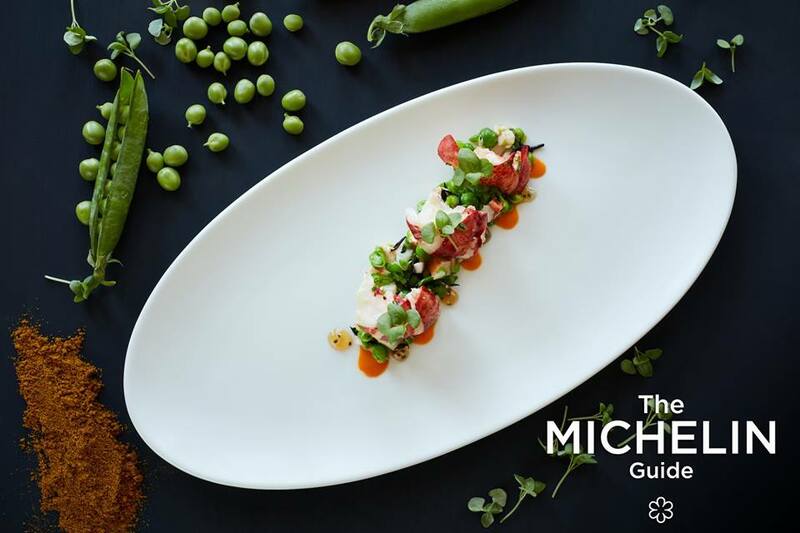 This is definitely not the night to get lost in the sprawling urban jungle that is Los Angeles; after all, a Michelin-Star Chef is about to prepare you dinner. Yes, the address matches, and with a shrug and a swift prayer that you don’t have to return to the 101, you knock. Someone answers the door, with a tray of sparkling wine poised expertly in the palm of their hand. You are most assuredly at the correct place. Welcome to the hottest Secret Supper Club in Los Angeles. Welcome to INTRO Art Gallery & Chef’s Table! A smartly dressed man with a warm smile and a firm handshake greets you as genuinely as one would greet a dear friend you have not seen in many years. This man is Rob “Rob C” Ciancimino, one of the three masterminds behind INTRO Art Gallery & Chef’s Table, along with Executive Chef Paul Shoemaker and Manny Marroquin, multi Grammy Award winning mixer/engineer, and owner of the famed Larrabee Studios. This amiable chap with a long history in hospitality is the evenings curator, host, Master of Ceremonies and DJ all rolled into one. Escorting guests in, Ciancimino describes the undertaking that went on to transform the space from suburban dance studio to secret Supper Club chic. “The floor boards had to be lifted one by one, the dance mirrors were each individually removed, then finding the right colors, flooring, lighting; all of the little things that make or break an experience such as this,” says Ciancimino. Your eyes then wander to the walls. Each of them featuring artwork that commands your full attention as INTRO Art Gallery & Chef’s Table will be showcasing a rotating curation of artists whose work alone will be a feast for the eyes. The month of December will feature Artist Jens Schmidt, whose art is reminiscent of early 20th century abstract masters, with a heavy stroke of childhood whimsy on raw canvas, in aggressively opaque primary colors. Ciancimino then announces that it is time to dine and invites everyone to take a seat at the table. Yes, singular. This is a communal affair, no kiddie tables or name cards in sight. You relax and enjoy with your new friends and out of the kitchen appears Executive Chef Paul Shoemaker, the mastermind behind the outstanding 12-course culinary journey each guest is about to embark on. 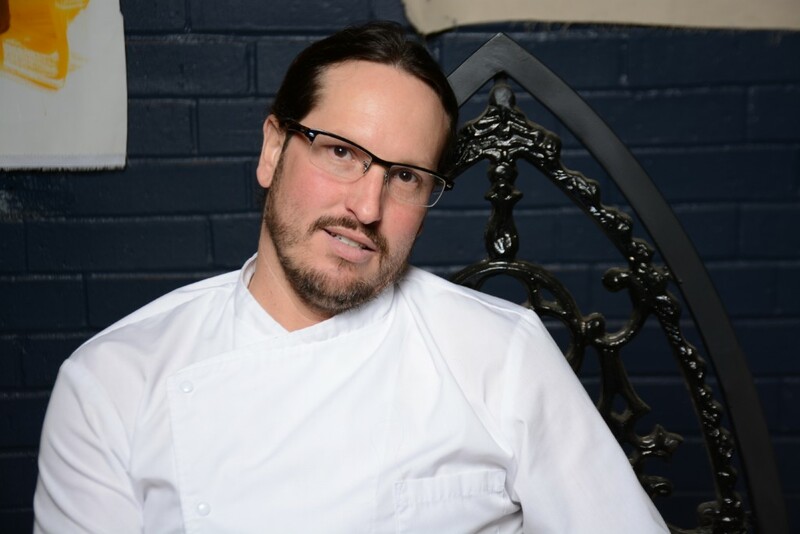 Executive Chef Paul Shoemaker rose to recognition at Alan Ducasse and French Laundry before proving he is worth his salt in kitchens at Providence, Water Grill, his own restaurant Savory, and Firefly, but most notably, Joe Pytka’s Bastide, where, in less than six months he earned himself a Michelin star. His aspiration for guests at INTRO Art Gallery & Chef’s Table is elegant in its simplicity: “The pure essence of hospitality: engaging all of the five senses.” With that teaser, Shoemaker then disappears and service begins. The First Course arrives as edible cocktails in three parts: Liquid Ravioli, Mojito comprised of mint, rum, lime, and mint carbonated sugar; Cold Fever, a Gin & Tonic with silver and gold fizz, and Green Apple Crisps, featuring Bourbon, green apple, and bourbon caviar. They are just the dainty aperitif to kick-off this once in a lifetime experience. The service commences with the next course, the Amuse, featuring layered complexity within two small bites; the first comprised of Salmon Skin topped with citrus cured salmon, and Meyer lemon, while the other stars Smoked Steelhead Roe on a rice cracker with whipped honey and Togarashi. The Bone Marrow Ravioli with black pearl and truffle espuma leaves you practically begging Chef for a full-size serving, while next comes the Pork Belly Butternut Squash Soup, with whipped crème fraiche, maple syrup, and candy cocoa nibs finds you resisting the urge to lick the bowl. Two seafood dishes subsequently follow, each drawn from different areas of the world, unique as they are flavorful: Big Eye Tuna, with baked avocado, yuzu ponzu, caviar, smoked sesame, and bean sprouts and Spanish Octopus, accompanied with Vadouvan cream, reduction of cocoa, ginger and black olive, and frisée. Then comes the Beetroot dish which proves that no one other than Chef Paul Shoemaker can transform a humble root vegetable into three intricately detailed bites: Red Beet Tartare, Beet Mellow and Beet Macaron with whipped goat cheese, and passion fruit. There is a brief intermission that offers guests an opportunity to get up, admire the art, mingle, and perhaps exchange seats if they so wish. Mostly everyone continues their lively conversations with their newly acquainted friends, while discussing the food as red wine takes place of the white. Dinner resumes with Carrots, an artistic plate of honey dates, carrot, tempura hen-of-the-woods mushrooms, and pâte à choux gnocchi. The penultimate savory, Pasta Alla Chitarra is earthy and rich with burgundy truffle, porcini mushrooms, and Reggiano cheese, while the sumptuous Prime Hanger Steak is the perfect end of the savory courses, with Époisses fondue, garlic confit, parsley pistou, and sauce Bordelaise. Like the sure and steady paint strokes in each work of art hanging on the walls, there is not a single ingredient within these dishes that is out of place or misaligned. Every component is set with the utmost intention, not a single bean sprout nor pine nut out of its very purposeful place. Two bite-sized palette cleansers arrive, a Nickel Bag with foie gras powder, Cocoa Puffs, pine nuts, candy Cocoa Nibs encased in a vanishing edible bag, and Gold Mine made with passion fruit, macadamia, and strawberry saffron fluid gel. For those partaking, the Fonseca Bin No. 27 Port from Portugal is poured while dessert is being served. Simply titled, Pumpkin is anything but simple, with torn pumpkin bread, toffee pumpkin seeds, pistachio ganache, and bay leaf ice cream. With the last spoonful, the multi-sensory journey is at an end, leaving you equally sated and wanting more. Upon reflecting back on the night, and the likely photos you snapped as proof this experience was not merely a dream, you are driven to exchange cards and numbers with those whom you shared this one-of-a-kind experience. Walking to your vehicle, you try to assimilate the words adequate enough to describe the evening: “Art, music, food and wine together paint a picture-perfect moment in time,” explains Executive Chef Paul Shoemaker. INTRO Art Gallery & Chef’s Table operates every Friday and Saturday evening from 7:30 pm to 10:00 pm and reservations are required. Door opens and Bubbles at 7:30 pm. First Course served promptly at 8:00 pm. The INTRO Art Gallery & Chef’s Table menu changes seasonally and often due to the availability of the finest ingredients. INTRO Art Gallery & Chef’s Table has a 24-hour cancellation policy and will do their very best to accommodate any food allergies or alcohol restrictions if communicated in advance upon making a reservation. For more information and to make reservations at INTRO Art Gallery & Chef’s Table, please visit www.ExperienceIntro.com. 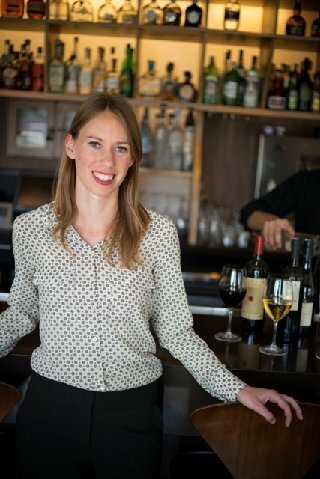 WHAT: Restaurateurs Mike and Kathie Gordon have announced the promotion of Emily Johnston, 29, as the first Wine Director for The Toscana Restaurant Group. Previously the General Manager and Wine Director of S.Y. Kitchen in Santa Ynez, California for the past two years, Johnston now oversees the wine programs for three operations – TOSCANA, the flagship Tuscan trattoria in Brentwood opened in 1989, BAR TOSCANA, adjacent to the restaurant, and sister restaurant S.Y. KITCHEN in Santa Ynez, California. Due to Johnston’s exemplary performance with the wine program at S.Y. Kitchen, the Gordons and their partners created the position of Wine Director for their popular venues. As the Wine Director for the restaurants, Johnston’s goal is to maintain the unique character of each restaurant and its wine list while still tying them together by a recognizable thread. “Certainly, there is a common love of Italian wine with all of the restaurants. I want each to be recognized for its complete selection of wines, specifically for the Italian wines,” says Johnston. Emily Johnston grew up in Ojai, California. Attending Scripps College of the Claremont Colleges she specialized in languages and is fluent in both Italian and French. She gained exposure interning at Brander Vineyard in the Santa Ynez Valley, leading to wine sales for a small Italian wine import company in Santa Barbara. Johnston gained further education in Italy, studying to become a sommelier at ALMA Scuola Internazionale di Cucina’s Wine Academy. Receiving the highest academic honors in her class, she became a Certified Sommelier with the Associazione Italiana Sommeliers (AIS) in 2011 while working alongside AIS Master Sommelier, Roberto Jacquemod Pane. Johnston became a Certified Sommelier with the Court of Master Sommeliers in 2014 and is now currently studying to achieve the Advanced level sommelier. Johnston is deep in the process of revamping the inventories and wine lists at each restaurant. The Toscana Restaurant Group is Social!